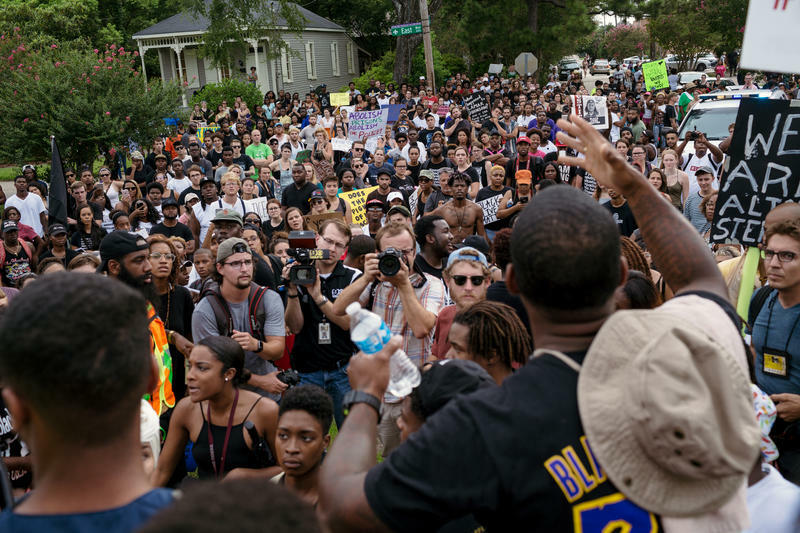 Police responded to Baton Rouge street protests en masse on July 10. 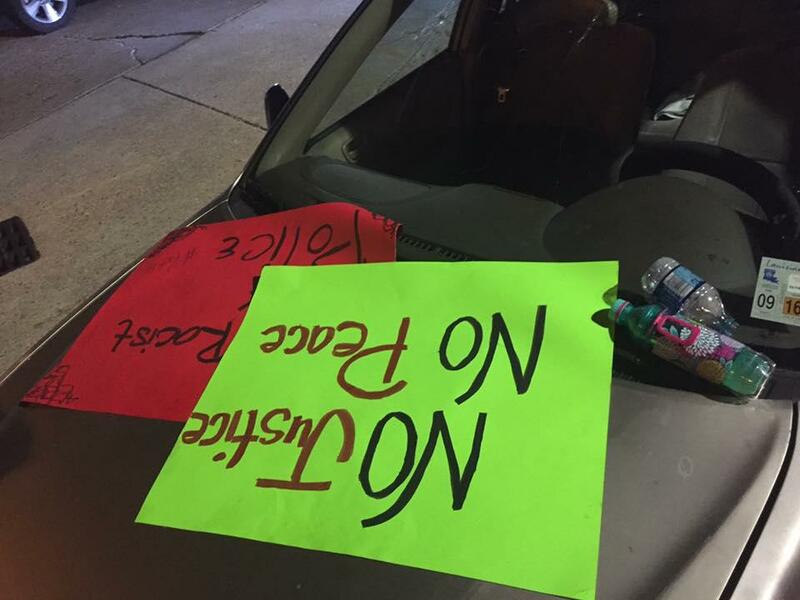 Protestors are told by police they are no longer conducting a "peaceful demonstration." Begin moving into the crowd and making arrests. 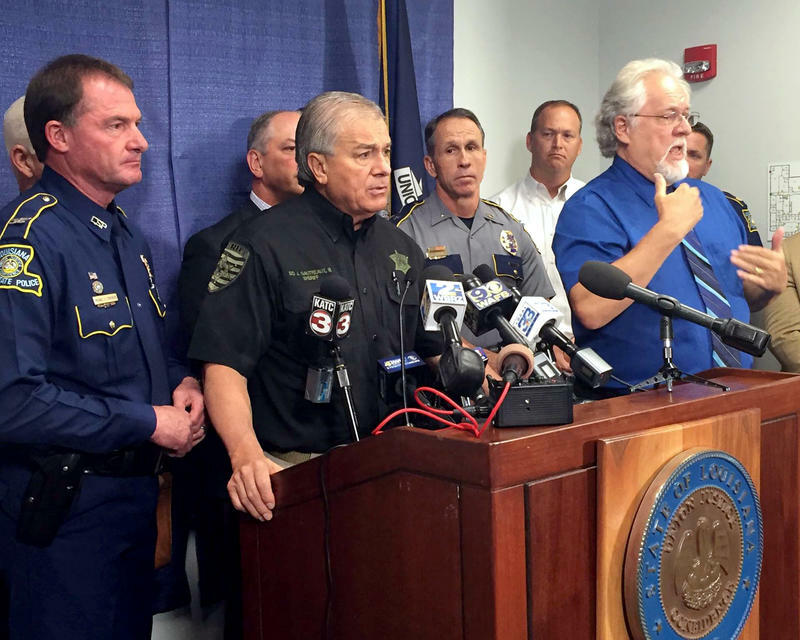 Sid Gautreaux, Sheriff of East Baton Rouge Parish. Gautreaux was joined by other law enforcement leaders and Gov. John Bel Edwards to answer media questions on the continuing protests in Baton Rouge. Protestor holding placard that reads "White Silence Is Violence" in Baton Rouge on Sunday, July 10. 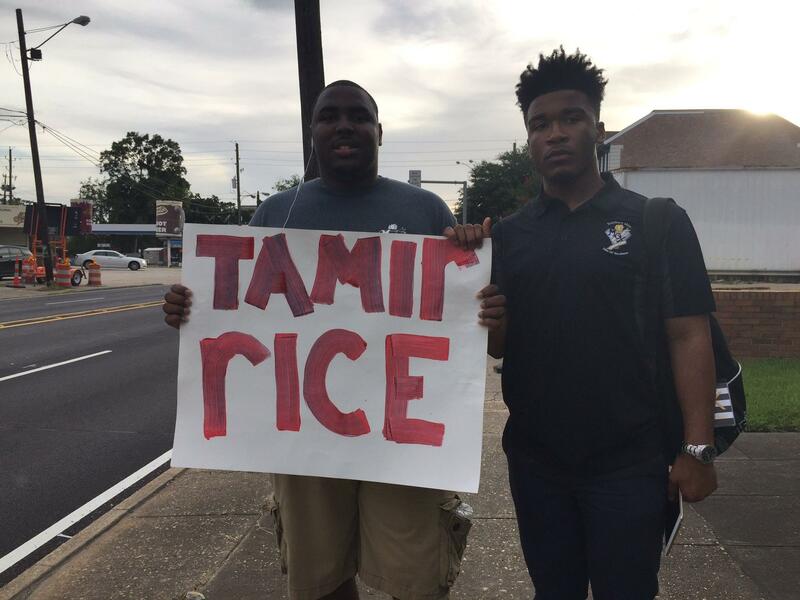 Two USM students who came from Hattiesburg to participate in march to the La. State Capitol today. 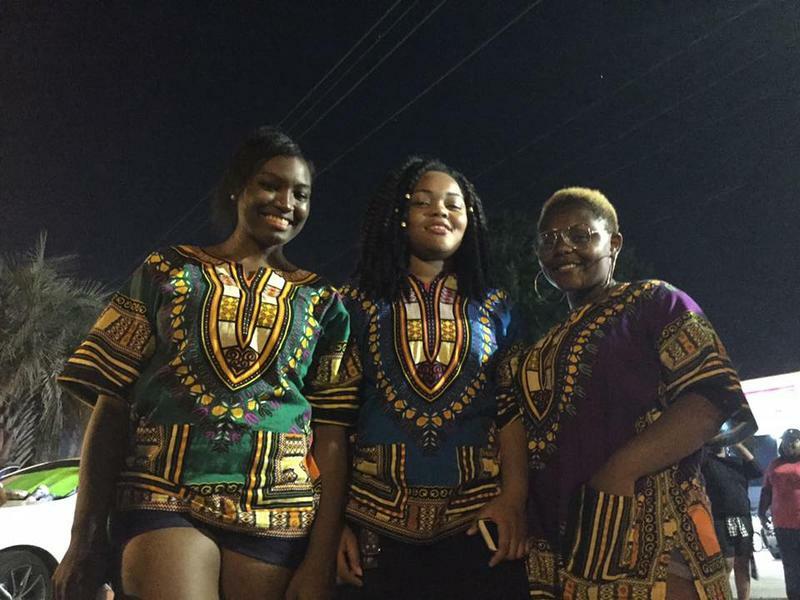 Baton Rouge resident Cleopatra Dunn has spent the weekend protesting with her three daughters. Protests continue into the night. 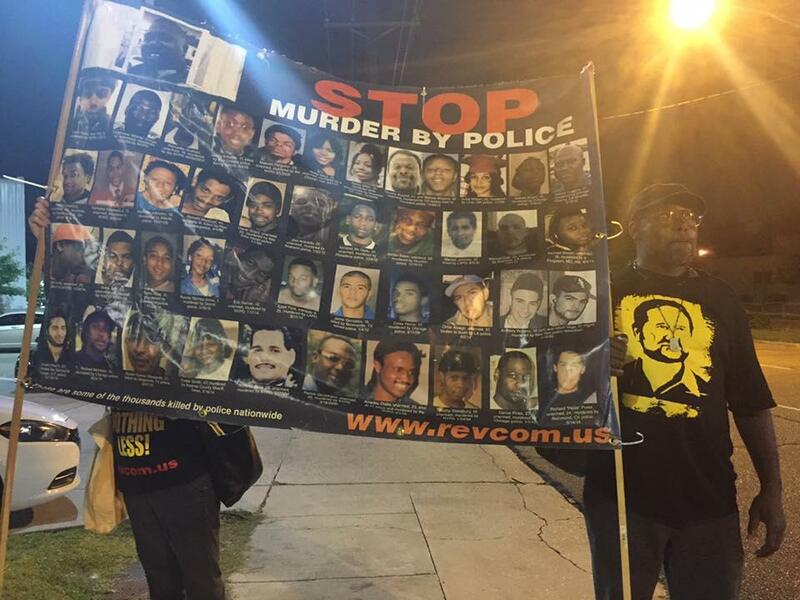 Protestors at the memorial for Alton Sterling in front of the Triple S market. Protests continued in Baton Rouge on Sunday. Protestors thronged the streets of the capital city on Sunday. Police made scores of arrests. 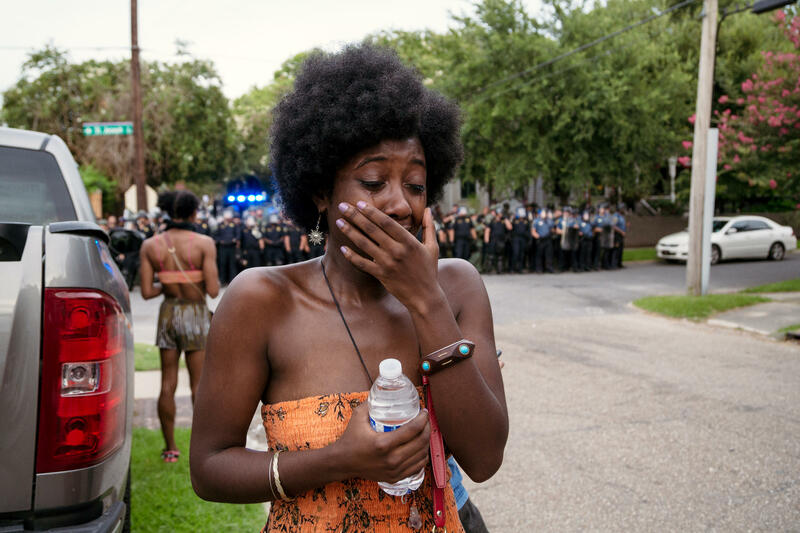 Chloe Johnson breaks down after the police stormed a private residence and arrested dozens of protesters. As in all breaking news situations, events are often fluid and unpredictable.  Some information encountered by New Orleans Public Radio reporters may later turn out to be wrong. Our editors and reporters make every effort to accurately and completely report what they encounter, and to ensure veracity and timeliness. 11:38 p.m. CT - Crowds have thinned and police have backed off. 10:39 p.m. CT - Police begin arriving to confront protestors gathered near BRPD headquarters. 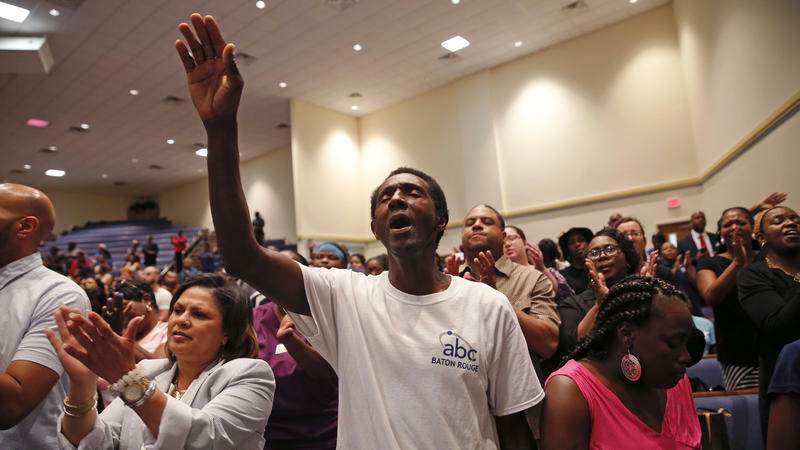 10:02 p.m. CT - Activist Deray Mckesson, jailed yesterday, has returned to the Triple S market, the site of the shooting death of Alton Sterling. 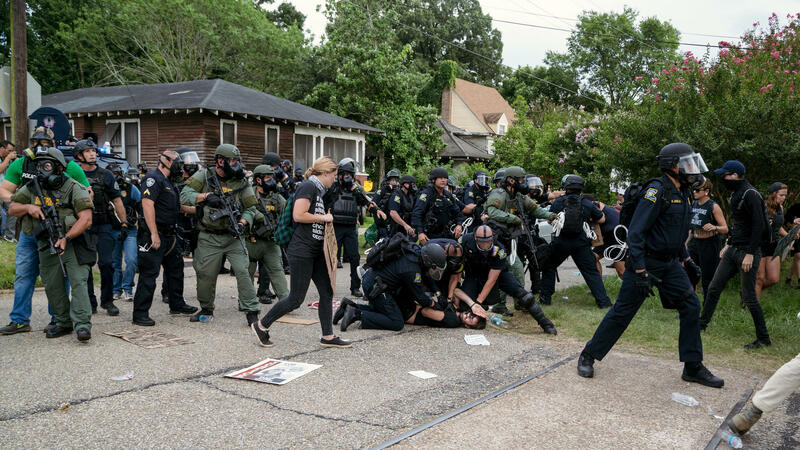 9:47 p.m. CT - The Advocate is reporting nearly 50 people have been arrested so far in Baton Rouge this evening. 9:38 p.m. CT - Reports from the Advocate and other outlets say protestors now massing near Baton Rouge Police headquarters on Airline Highway, scene of mass arrests last night. Amnesty International is questioning whether police agencies in Baton Rouge are allowing for appropriate, constitutional protesting. "The sheer number of arrests last night raises serious questions about proportionate response to peaceful protests. 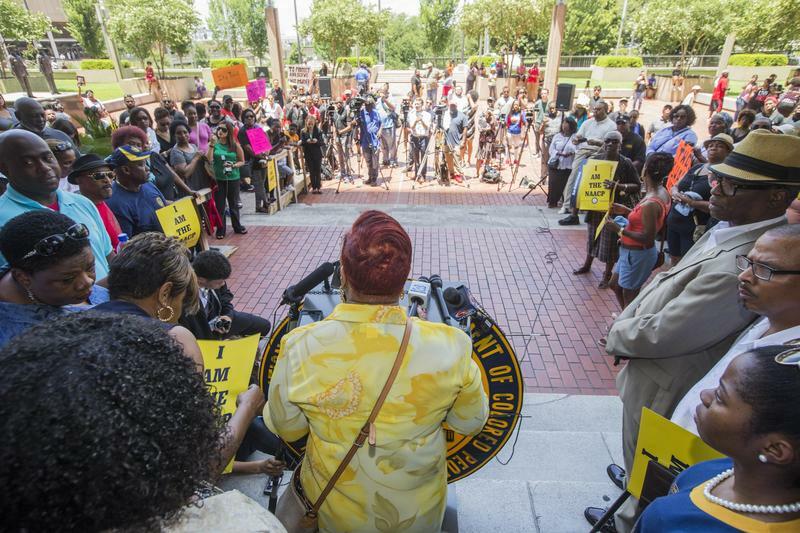 Law enforcement officers cannot selectively decide which laws to enforce during demonstrations - be it against journalists, legal observers or protestors, " said Jamira Burley, Amnesty's campaign manager for gun violence and criminal justice reform in a statement from Baton Rouge. Solange Knowles says police were acting inappropriately. Protesters/marchers have been nothing but peaceful today in Baton Rouge. Police are here pulling out tear gas while children are around. 7:49 p.m. CT - Police are making numerous arrests at multiple locations throughout the city. 7:34 p.m. CT - Reporter Jesse Hardman finds riot police massing on the corner of France and East Streets. Police tell demonstrators "this is no longer a peaceful demonstration," and begin to make arrests. 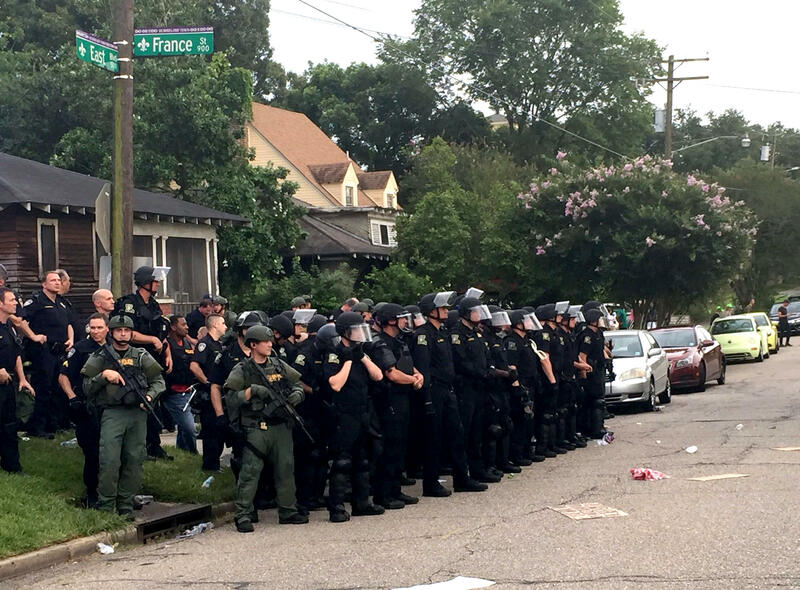 Riot police massing on the corner of France and East Streets in Baton Rouge. 6:54 p.m. CT - Police have begun making numerous arrests. 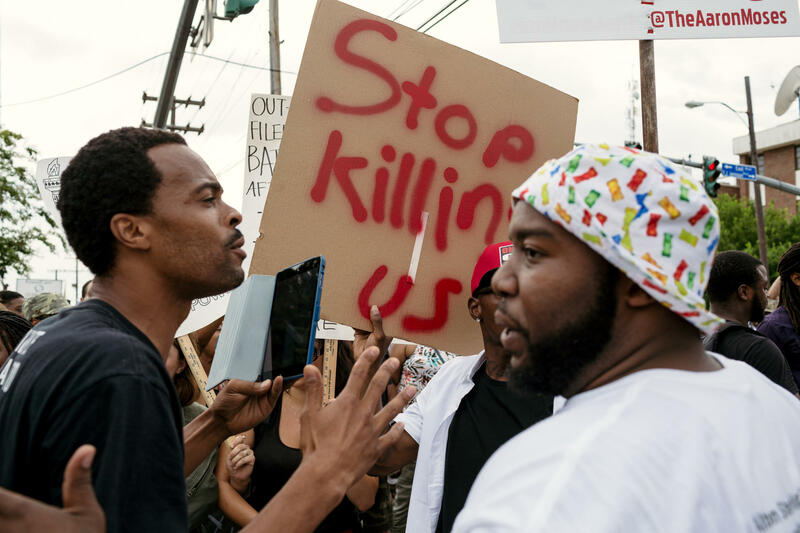 #SCANNER "This is not a peaceful protest anymore." 6:46 p.m CT - Police attempting to disperse some groups of protestors. 6:19 p.m. CT - Protestors running into heavily armed police. 6:09 p.m. - New Orleans Mayor Mitch Landrieu, with protestors at the Superdome. 6:04 p.m. CT - Protestors are moving through different neighborhoods in Baton Rouge. Some are overheard by Advocate journalist Rebekah Allen wanting to march to LSU. 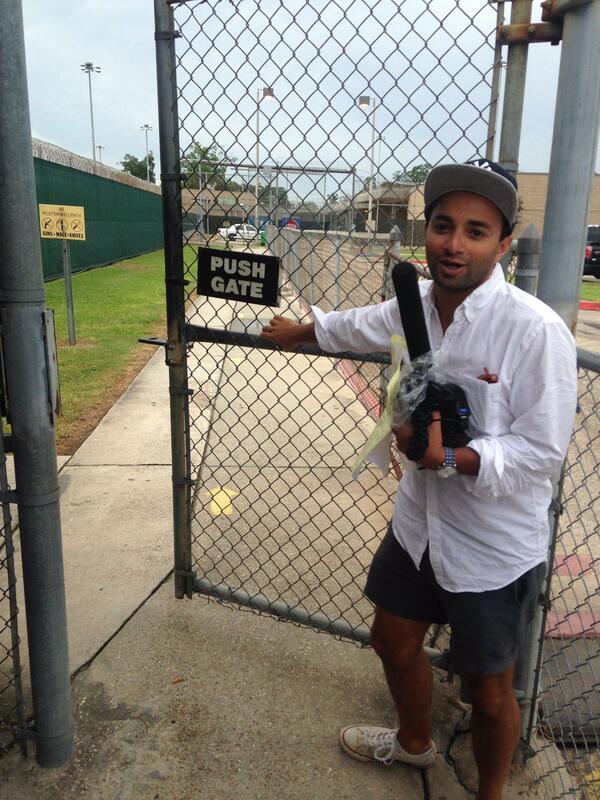 5:15 p.m. CT - Reporter Ryan Kailath is released from jail. 5:15 p.m. - Reporter Ryan Kailath is released from jail. 5:04 p.m. CT - March leaves Capitol. As of 5 p.m., still waiting for reporter Ryan Kailath to be released from jail. 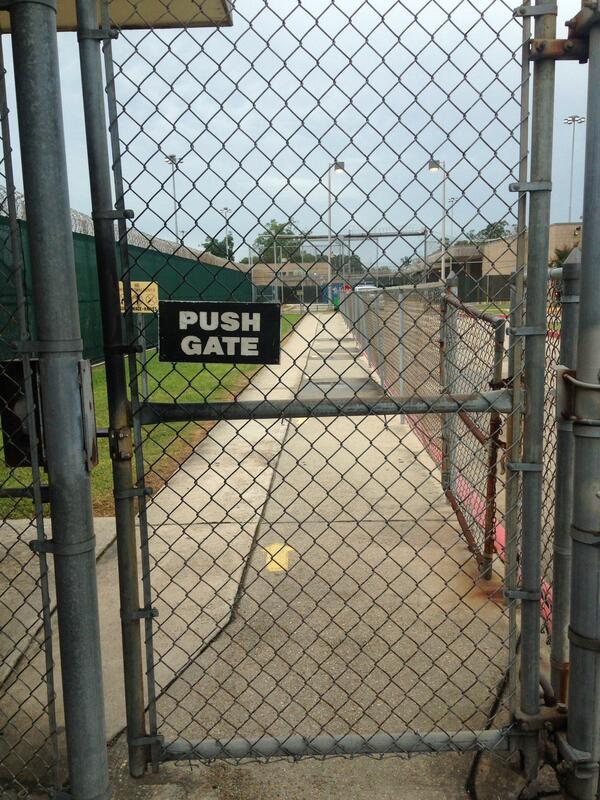 5:01 p.m. CT - Tegan Wendland is stationed outside the East Baton Rouge Parish Prison, waiting for the release of WWNO reporter Ryan Kailath. Kailath was arrested along with over a hundred others during protests along Airline Highway in Baton Rouge Saturday night. 4:30 p.m. CT - The governor's press conference has ended. The governor stressed the rights of protestors to peacefully assemble and to be heard. 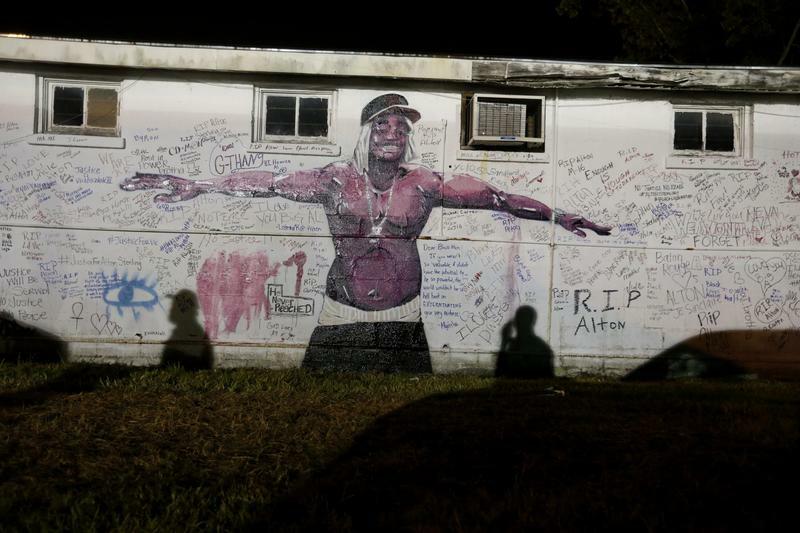 Law enforcement officers said they were ready to respond to any violence, and reiterated they would make arrests if protestors blocked major thoroughfares like Airline Highway.